When you look at the design plans for a new house and speak to the sales person about price, availability and timeframe you may begin to get quite excited. But before you make any decisions you should go home and crunch the numbers. Why? 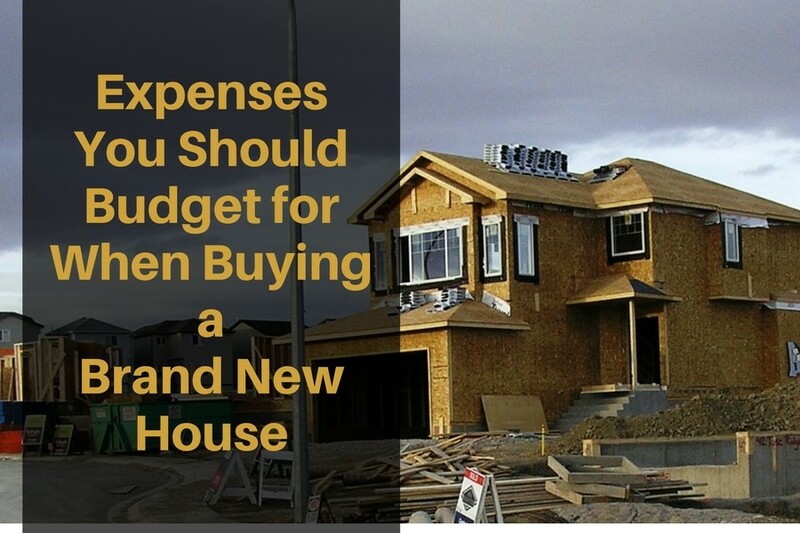 Because there are always additional expenses you should budget for when buying a brand new house. These expenses go above and beyond the price that you will pay for the house and the lot, and any upgrades you ask the builder to do. These additional expenses go above and beyond the legal fees you need to budget for, and potentially any sales tax, or land transfer taxes. These additional expenses, that I know you will want to budget for when buying a brand new house, are all of the items you will want to add once you move into your brand new house. Believe me, they add up quickly. And if you did not account for them in your budget, or at least consider them, you will not be happy after you move in. One of the first things that I notice when I drive into a brand new subdivision is the lack of trees, flowers, shrubs. Anything that may have been growing there over the hundreds of years, while the land was bare, has been ripped out to make room for new houses, new utilities, and new streets. And, as each new house is built on each new lot, the builder may or may not include some landscaping in the front and the back of the house. This is something that you need to consider if you choose to buy a brand new house. Will any landscaping be included in your purchase price? If not, consider what you will want to do. Will you lay new sod and plant some trees? Will you build a deck or add a rock garden? And last but not least, will you build, or hire someone, to build a fence? When we purchased our last new house in 2005 (as shown above and below) the only outdoor things that were included in the purchase price was a small deck off the back of the house, and a very young tree that was meant to be planted on the front lawn. We had to pay for everything else. It was a pie lot in a brand new subdivision, on the inside curve of a cul-de-sac. It was so large that it backed on to 6 other neighbour’s yards, and of course, all of us wanted to build fences around our lots. So in the Spring of 2006 we spoke with each neighbour about the cost of building a cedar wooden fence, and about doing all of the labour ourselves, in order to save money. Only three of the neighbours actually helped build the fence but they all contributed to the cost of the materials. Our portion came to just under $4,000. And because our backyard was so large, it took the entire summer of weekends to finish building it. The cost of landscaping did not end with the fence. In 2007 we had a professional landscape designer draw up design plans for our backyard. We wanted trees, plants, hardscaping, mulch and some sod. Her designs were gorgeous. The cost wasn’t. The cost to buy all of the necessary products, and have professionals do the installation, came to a grand total of $40,000. We were shocked. The most expensive part of her design plan was the trees and the hardscaping (stones, bricks, patio). Now, for many people, the landscaping and the cost to do it, is something that can be spread out over a number of years, after moving in. When creating your budget, simply make notes about which things you can and will do right away, and which items can wait a few years, or more. Not all, but many homes in Canada, are built with a basement. While some builders will professionally finish the basement as they finish the rest of the house, most will not do that, unless you pay extra for it. Finishing the basement, with the builder, so that it matches the rest of the house, is usually an upgrade. 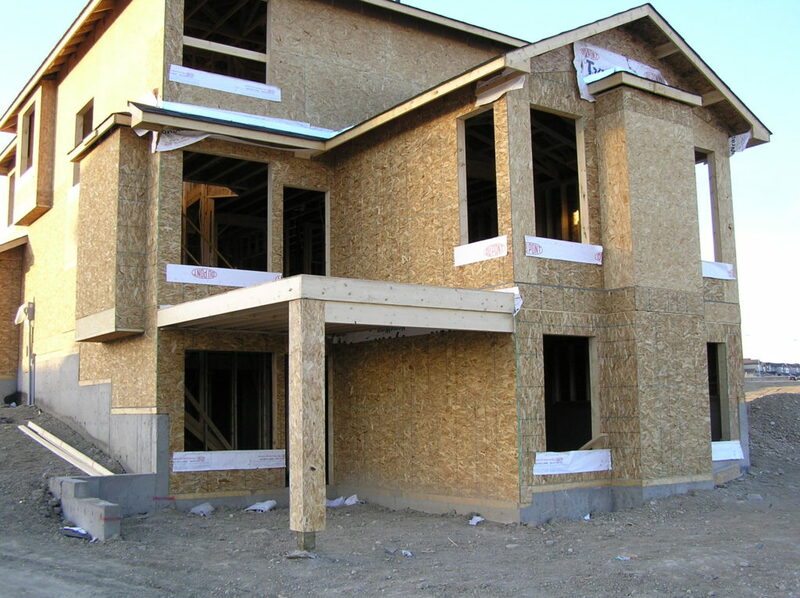 If you choose not to pay the builder to finish the basement, they will leave it insulated, with a concrete floor. Then you can wait until you move in and then decide what to do with it. Our house had a beautiful walkout basement with large windows, as you can see above. A bathroom was roughed in, as well as an area for a wet bar, if we had wanted one. The additional cost to develop the basement, with a professional contractor, after we moved in, would have been approximately $15,000. We were very fortunate that when we bought this brand new house all of the appliances were included. Or, at least an appliance package was included, and then we could upgrade them if we wanted to spend more money. I noticed recently that not every new home builder includes appliances. Appliances are very expensive, and if your budget is tight, you might find yourself paying for appliances with a credit card or line of credit. This is the last thing you want to do, because credit card interest rates are too high and it may take a while to pay off. To avoid that, go online or go to a local appliance store, and find the appliances you would buy and write down how much they cost. They could easily add up to between $5,000 and $20,000. Add that expense to your budget for your new brand new house. Now, can you still afford to buy a new house, or do you need to wait, and save more money first? While I understand the importance of having a monitored alarm system in the house, I actually really hate them. I once owned a townhouse by myself and the alarm went off one night at midnight. The siren in the basement was so loud and I was quite frightened. Come to find out that the sensor on the patio door somehow melted from the hot summer days we had that year and it caused a slight shift in the doors which triggered the alarm. As our new home was built the wiring for an alarm system was actually included, because the alarm company hopes you will buy monitoring from them. As much as I disliked the idea, we signed up with a monitored alarm company. The cost was $39 a month for 3 years. Not much, but if you are on a budget, you need to factor it in. Your new house may include an attached garage or it may include a detached garage, or nothing at all. In some locations it may only include space on your property for you to build your own garage. That can happen. If your new house does not include a garage and you really want to build one, you will need to include that in your budget. The cost to build a garage varies greatly. It depends on the size, the products you use, and if you build it yourself, or hire someone to build it. It could be anywhere between $5,000 and $15,000 to build a garage on your property. Even if your new house includes a garage chances are good that if you want a remote garage door opener you will have to buy it yourself and pay to have it professionally installed. Another expense to factor into the cost of buying a brand new home is furniture and window coverings. The amount of new furniture that you will need will of course depend on where you are moving from. If you are moving out of your parent’s house, you will probably need a lot of furniture. If you are moving from a house of a similar size to your new house, you may only need a few items. Make a list of the items that you will need to buy and do a search online for prices so that you can add those amounts into your budget. As well, one thing that you will definitely need are new window coverings. The price of window coverings varies greatly and there are quite a few different products to choose from. You could go with wood blinds, draperies, shutters, honeycomb shades, and so on. 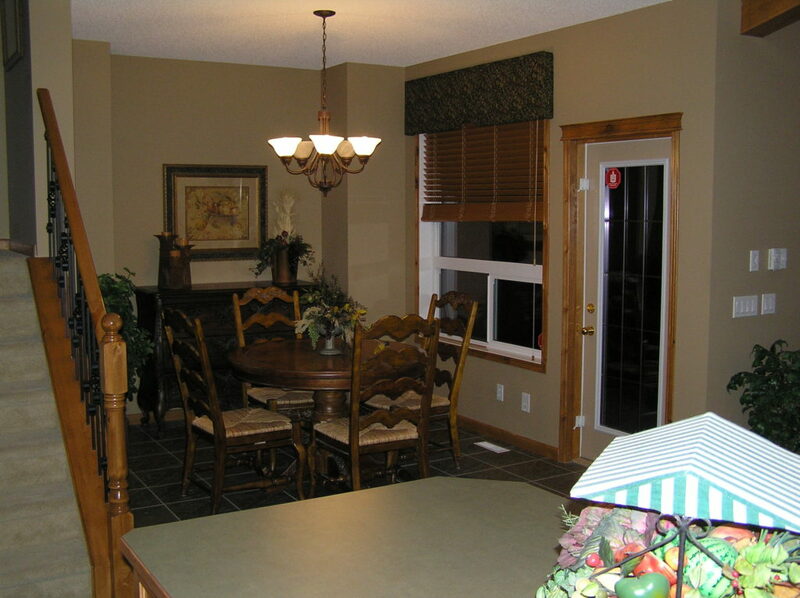 You also have the option of buying and installing the window coverings yourself or hiring a professional. The overall cost for window coverings could be anywhere between $2,000 and $10,000, or more, depending on the style you choose, and how many windows you have. One thing to keep in mind is that the width of the window is what increases the cost of the window coverings, so if you choose a new house with large wide windows you can expect to pay a lot for window coverings. When it comes to buying a house you may be the type of person that always looks for a brand new house or you may be the type of person that stays away from buying brand new houses. Quite often a person will say that they will steer clear of brand new houses, particularly because of all of the additional costs that are mentioned above, and the fact that it is so easy to go over budget. PreviousWhat is Debt Consolidation, and How Can It Help You?